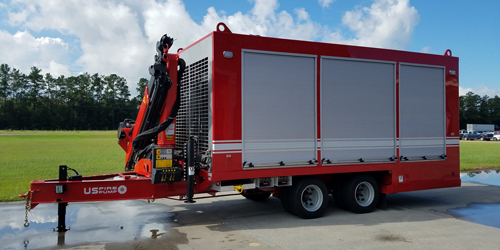 With increased global demand for bigger fire pumps and systems to support industrial firefighting and water supply units, US Fire Pump has developed a new generation of fire pumps and firefighting systems that bring big water flow to departments worldwide. 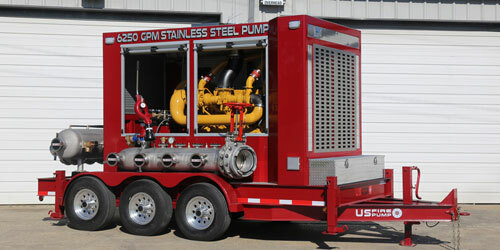 9,000 GPM [34,069 LPM] Big Flow System. 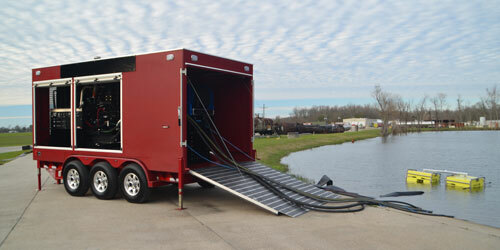 Setting up a big flow system can be a challenge for any facility. Our industrial solution package, as depicted in the above graphic and in the video to the right, helps to simplify that challenge. 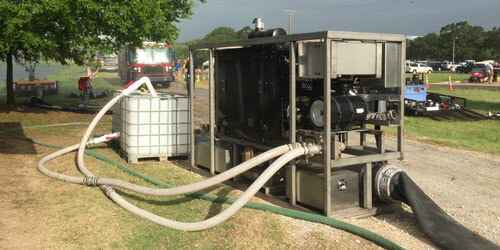 With only four (4) US Fire Pump products, our big flow system can deliver up to 9,000 GPM [34,069 LPM] from a static water source. 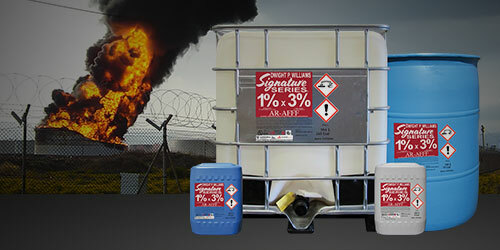 This single system can deliver the correct application density for 1% (up to 3%) finished foam for full surface fires or vapor suppression on tanks up to 250 feet in diameter. For larger tanks or applications above 3%, the system can be expanded to meet the needs of your incident or potential hazard. Other configurations are available. Contact us with your specific requirements. New Product Release – Dwight P. Williams unveils his new Signature Series Foam. 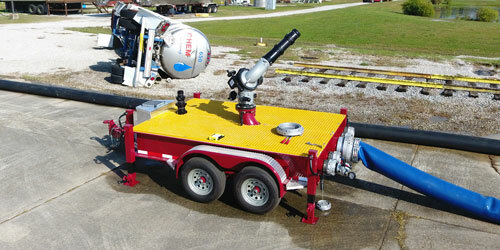 PBF Energy, Delaware City - Hydraulic Submersible Pump with Palfinger Remote Controlled crane. 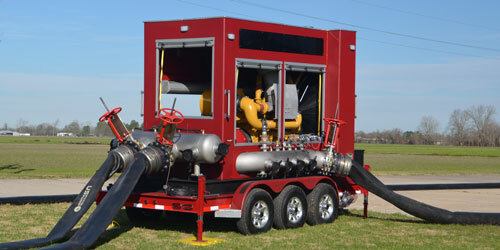 US Fire Pump has a wide range of industrial firefighting demos available for immediate delivery.